Welcome and a big hello to this Special Christmas issue. So what can you expect? Well, first of all, you probably have realised by now that you are getting a FREE, brand new, completely exclusive die in the shape of the Christmas Rose. This is a fabulous die that will allow you to make the most beautiful projects, whether it is cards, gifts or home decor. Plus, if you trim away the holly and mistletoe, you can use the flower all year long! There are 28 projects that range from traditional to fun, from classic to sweet and stylish to magical, all designed to inform and inspire. The centre of the magazine contains 12 FREE papers which have been designed especially for this magazine and are perfect to work with the featured projects. 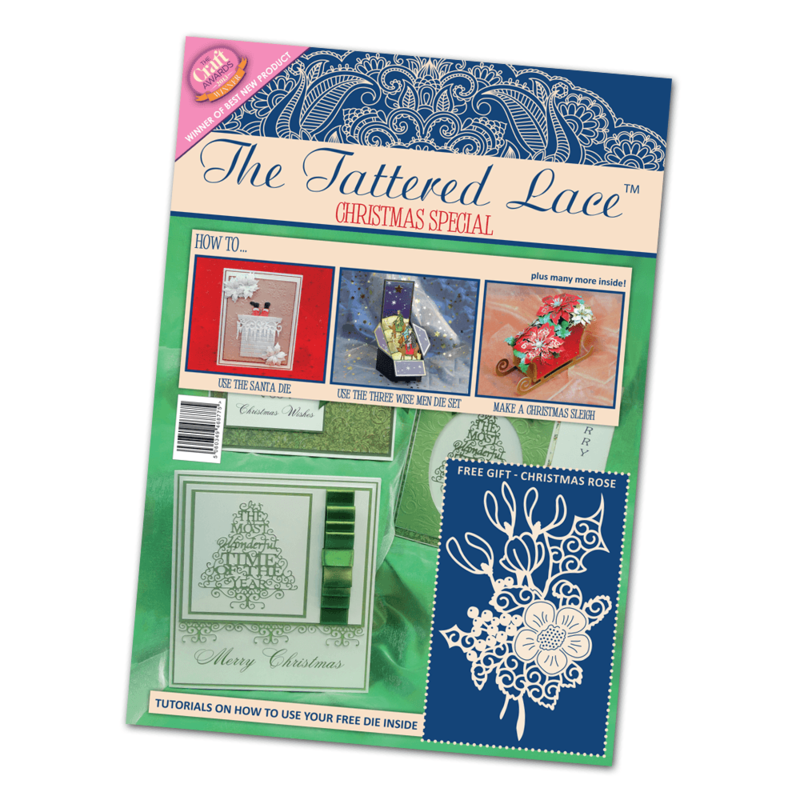 Also included is a very special template to photocopy, trace or just cut out the pieces to make a wonderful gift box, or perhaps a decoration for the house or dining table.